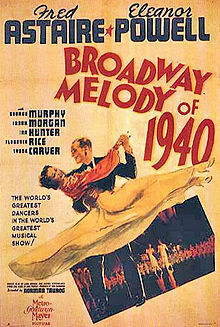 Cole Porter wrote “I Concentrate On You” for the film Broadway Melody of 1940. It’s one of Porter’s best songs, with recordings by Fred Astaire, Ella Fitzgerald, Frank Sinatra, Dinah Washington and Judy Garland among others. I concentrate, and concentrate on you. “I Concentrate On You” was recorded on December 13, 1972 and released in 1973 on the album Listen Easy. It was arranged by Don Costa. “I Concentrate On You” was recorded in July 1993 and was released that year on Steppin’ Out. It was arranged by Tony Bennett and Ralph Sharon.